When you purchase a property, you do not actually get the land itself. What you get is title to the property, but the property itself could be subject to claims such as construction leins, past due taxes, assessments, or it may have limited rights and restrictions on how you can use it. MILWAUKEE -- When you purchase a property, you do not actually get the land itself. What you get is title to the property, but the property itself could be subject to claims such as construction leins, past due taxes, assessments, or it may have limited rights and restrictions on how you can use it. 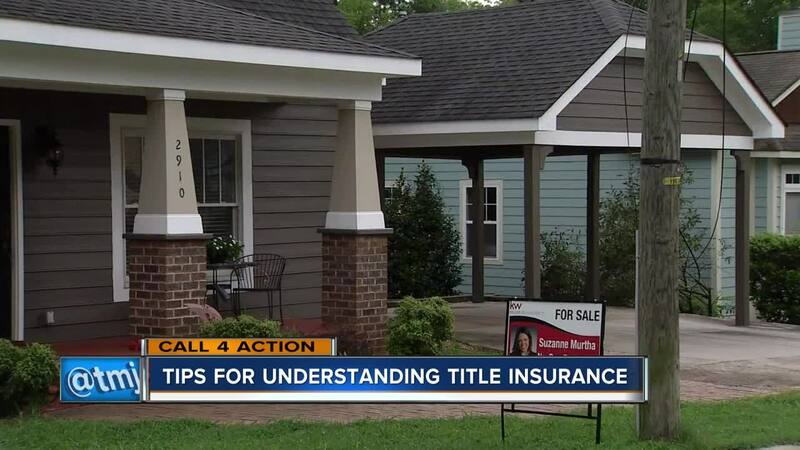 Title insurance is something that can alert you to hazards on the title that could lead to a claim, protect you if something comes up shortly after the closing or at a time that you sell the property and alert you to other potential issues that could arise as the title holder. If you buy coverage, here are some things that you might want to do to assure that you have adequate coverage: before closing on the property, look over the policy to be sure that you understand what is covered, and what is not, any restrictions that may exist on the property and who is covered. There are two types of title insurance: owner’s title insurance and lender’s title insurance. When you are taking out a loan, quite often a lender will require that you pay for a lender’s policy to protect them if something should show up on the title; however, this coverage does not protect you as the buyer and borrower. It is important to also consider purchasing owner’s title insurance to protect you from claims that could show up even after you sell the property. Your realtor can usually recommend a good title insurance company who can do a good job of searching the title and explaining coverage options; however, the office of the commissioner insurance also has some good information on their website about title insurance and other insurances that you should consider when purchasing a property.